ITANAGAR, Dec 5: The Krishi Vigyan Kendras (KVK) around the state observed ‘World Soil Day’ by conducting various awareness programmes for farmers on the importance of soil on Wednesday. At the Papum Pare KVK, farmers, public and officials from the department of animal husbandry, veterinary & dairy development, and agriculture attended the programme, wherein Senior Scientist and Head Dr Bangkeng Perme highlighted the need to create awareness amongst the public about the importance of soil. He advocated the participants that soil is the basis for food, healthy ecosystems and human wellbeing. 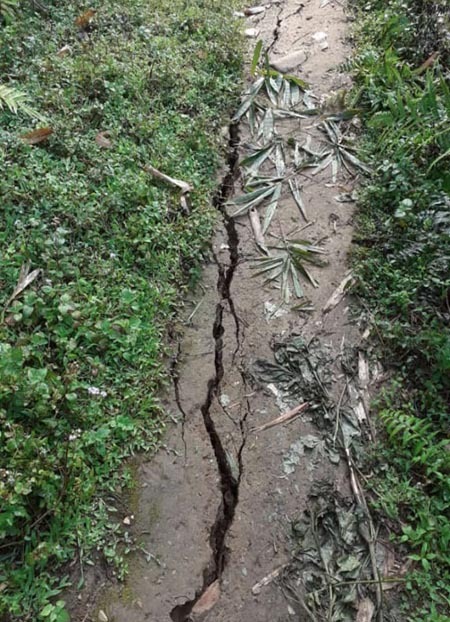 “Indiscriminate deforestation, bad agricultural practices, man-made pollution and soil erosion had adversely led to soil quality degradation to an alarming level. The need of the hour is to find a holistic and scientific approach by all stakeholders to replenish the health of soil for life to exist,” he added. During the programme, subject matter specialists of the KVK informed the participants about the importance of soil testing and soil health card. At Denlo village in Lower Dibang Valley district, farmers were made aware about the importance of soil and its preservation. On the occasion, senior field officer Jyotish K as resource person highlighted about departmental programmes and schemes and urged the farmers to avail its benefits, while programme assistant (Agri and Allied), Sangey Chom Thungon imparted training on soil sampling. Soil health cards were also distributed among the farmers. KVK scientists as resource persons provided technical inputs on various aspects, such as pest and disease management in ginger and finger millet, organic vegetable production, vermicompost production, value addition of various spices and vegetable crops. At the Pasighat, KVK East Siang, the College of Horticulture & Forestry (CHF), College of Agriculture (COA), Central Agricultural University, Pasighat organized World Soil Health Day and a farmers-scientists interaction programme on soil health management. College of Horticulture & Forestry, Agriculture, Dean Prof BN Hazarika advised the KVK scientists and faculties of CHF and COA to concentrate on organic based farmer-friendly technologies. Such programmes should be organized on regular basis at village level as well to bring more awareness and knowledge among the farming community on the need and importance of maintaining soil health for sustainable agriculture. Department of Plant Protection, CHF, Head Prof DB Ahuja spoke about the extension activities taken up by the department and college for benefit of farmers of Arunachal Pradesh. Earlier, KVK East Siang Head, Dr Mahesh Pathak emphasized on use of improved seeds and proven technologies for improving the socioeconomic condition of the farm families. Soil health cards were also distributed among progressive farmers from Mebo, Pasighat and Ruksin blocks of the district. During the farmers-scientist interaction programme, progressive farmers Pumto Perme, Takali Tamuk, Tasing Siram and Kahi Saroh, urged the gathering to adopt integrated nutrient management approaches for higher crop production. At Lower Subansiri, KVK’s subject matter specialists imparted training to about 70 farmers on soil sampling, ways to control soil erosion, preparation of vermicompost for organic management of soil health. Soil health card and vermicompost packets were also distributed to the farmers of nearby villages.